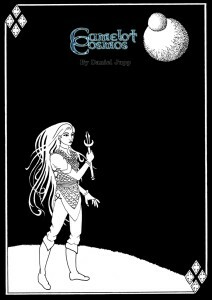 Camelot Cosmos is a complete role-playing setting (powered by FATE) published by Postmortem Studios. Welcome to the forty-fifth Designer’s Diary, a column where designers are given the opportunity to take readers on an in-depth ride through the design and development process of their system, setting, or product. If you’d like to share your product in the Designer’s Diary column, send a message to aaron@roleplayerschronicle.com. I suppose if I had to sum it up in a single sentence, film pitch style, I would say that Camelot Cosmos is post-apocalyptic science fiction meets Arthurian legend. It’s a setting for the FATE system but a lot of the content is background material applicable to any RPG system. The core concept is that an advanced civilisation built entertainment planets where individuals could act out parts of the Arthurian legends, but that the AI’s running the show went mad and launched a genocidal purge of humanity. The descendants of the survivors have rebuilt their society, but have regressed to a medieval level and now believe the Arthurian myths to have been real events. The mad AI’s have assumed the role of figures like Arthur, Merlin or Morgan Le Fay and are still present, but as extremely unpredictable and aloof deities. The relics of a technological past litter the realms of the setting, but are misinterpreted as holy relics and magic items. There are even traditional old-school dungeons, full of genetically engineered ‘monsters’ once used in gladiatorial contests. The intention of the setting is that everything present in it can be explained both from a scientific and mythological viewpoint. The main reason was really that I thought it was a cool idea! All the games that interest me have unusual settings, and I suppose that whenever I write something it’s the setting that comes to me first. I’m one of those gamers who spends way too much of his own money on setting books for loads of different RPGs, but I still thought Camelot Cosmos was a bit different to anything else out there. Post-apocalyptic stories are usually about the immediate aftermath, or maybe ten or fifty years later. Society in the Camelot Cosmos though, is partially rebuilt. It’s not total anarchy; there are kings and barons and the usual things you would expect from medieval worlds. However, everything advanced is now viewed in mythic terms; a cryogenic chamber could be the fairy hill where a dead hero sleeps, or a spaceship is mistaken for a dragon. The idea that artificial versions of legendary creatures were created for entertainment purposes allows the setting to be both a fantasy setting and a science fiction one. It all depends on the interpretation of the characters. The most obvious, non-gaming influences are Westworld and Terminator. Combine those and you get the explanation of the origins of the setting. Then there are the Arthurian myths themselves, which have been retold so many times, precisely because they say something we all want to hear. The idea of a tragic, doomed king and of a lost golden age of chivalry and splendour, that will always appeal. Gaming influences are a bit more diverse. I thought the Hellas and Dogs of Hades books were both really interesting and well done, and in both cases they applied a similar premise to Greek myth that I apply to King Arthur. Funnily enough I was never aware of the old Amazing Engine setting Once and Future King until I was halfway through writing Camelot Cosmos, but that has obvious similarities. I also tried to take something from computer gaming, in that I love the worlds that Bethesda creates, and I wanted to design an RPG with lots of factions and groups that characters could join, so that GMs could take their players through faction quests or side quests involving those groups. In that sense Oblivion, Fallout and Skyrim were big influences. I reread bits and pieces of Malory again, but a lot of the preparation was about reading systems rather than background material. I looked at Savage Worlds and FATE, and I hadn’t gamed that much with either so I had to learn FATE to some extent, although one of the things that appealed about it is that’s a very easy system to learn! My ideas were there without requiring much additional research, because in a sense I’ve been researching for twenty five years since I started gaming. I’ve looked at scholarly interpretations of the Arthurian myths, and some parts of the setting have other influences that I read up on as well, but I think a lot of gamers have a general interest in history and mythology which serves them well when they GM or design stuff. The art is by Raven Morrison, who has had lots of previous experience and produced art for other Postmortem Studios products. Myself and James Desborough discussed what sort of art we wanted at length and pretty soon came up with a shared vision of what we wanted to achieve. I really wanted to recreate the look and feel of Aubrey Beardsley since he did illustrations for a famous edition of Malory, although we also needed to suggest this strange mixture of technology and chivalry that is at the heart of Camelot Cosmos. It would be easy to fall into the trap of making everything look like steampunk, but steampunk is about a knowing blend of tech and tradition, whereas people in Camelot Cosmos are not supposed to know that the suspiciously metallic giant monster is actually a bus. I think Raven did a great job of understanding that distinction. If you look at her pictures there are bits of technology there, but its not obtrusive or in-your-face the way steampunk is. Camelot Cosmos is for gamers who want detail-rich settings which are unusual and full of odd anachronisms. There are so many bland vanilla fantasy world books out there, ones with the same elves and dwarves and the same evil and good nations. This setting has sinister factions that have idealistic aims, and idealistic factions who use sinister methods. Just as the lines between magic and technology are blurred throughout, so are moral distinctions, which is hopefully something I can develop a bit more in supplementary products. I’ve noticed a trend in gaming which seems to be splitting between very mainstream products and very alternative ones. It’s either a completely wacky experimental system, lack of a system in the indie games, or returning to things which are more like board games or wargaming than RPGs in the mass market stuff. Frankly, I get bored by systems that want you to measure inches and worry about zones of attack and what angle your little figure is standing at, but I also get frustrated by systems that want the players to cooperate in designing a world without giving you any hints or imaginative input. FATE doesn’t do either of those things, and its ideal for that old-fashioned gaming experience where the GM actually describes places and people more interesting than our everyday lives. Hopefully that’s what Camelot Cosmos provides. One of my happiest memories of GMing came when I was running an old AD&D Dark Sun campaign and the characters encountered a ruined paddle boat. I managed to describe it in such a way that there was genuine surprise when the characters realised it was a boat, basing this on the lack of seas in the setting. It’s descriptive gaming like that, by both players and GMs, that I hope this setting also encourages. It’s incomparably better. Buy it now. Make your friends buy it. Force your enemies to buy it….other than that, that’s a difficult question! 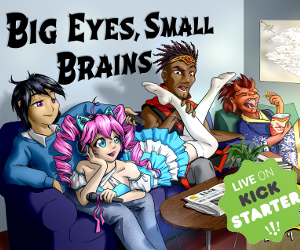 I think it has lots of ideas and opportunities to spark new ideas for gaming groups. I’ve tried to include systems for generating adventures, as I think that’s a great innovation and I love the random adventure generators featured in many Savage Worlds products. 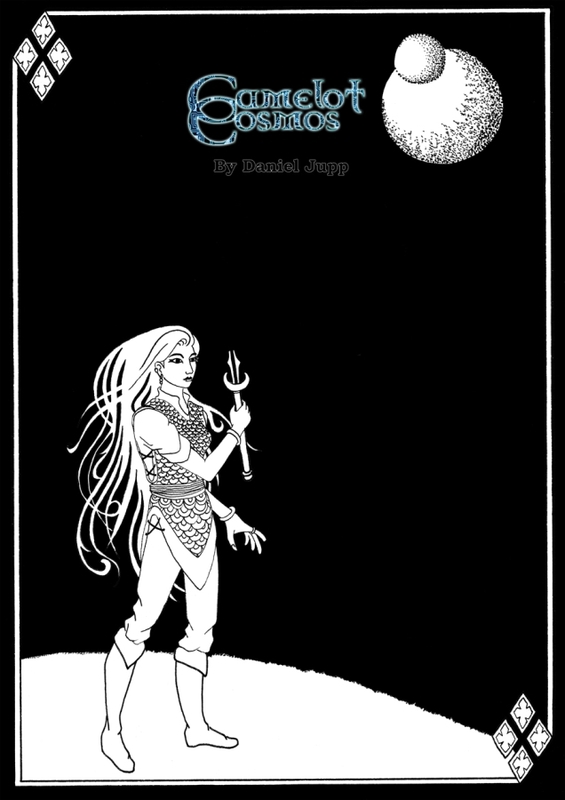 I’ve also tried to provide GM resources like name tables, as I want people to be able to use Camelot Cosmos in a sandbox way, like the setting’s Sine Nomine Publishing produce (Kevin Crawford is another influence as his work always includes excellent GM resources). I don’t think many settings include 13 described realms in the core books so there really is a lot of material content that is entirely new even to people familiar with FATE. There are things which I just couldn’t fit into the core books but I’m proud of what is there. There are some beautiful RPG books available these days, and things like Trail of Cthulhu or Lamentations of the Flame Princess will look prettier on your bookshelf, but they are also twice the price of Camelot Cosmos so I think in terms of content and price it’s a good product. In the future we could release a more deluxe edition and there are a few things I would change for that, but I know that every time I think about the setting new ideas crop up and I hope it will generate the same interest in GMs and players who experience it for the first time. I could describe this, if I had a design and development process! I tend to get ideas without really knowing how they came about and then I scribble them down as fast as possible. I did try and base the chapters of the book on my reading of other game systems, so it follows a fairly standard format in terms of character creation options near the beginning and chapters on NPCs near the back. I had a clear idea of how I wanted the books to look, and Raven made the artwork match that very closely. As far as the content that needed inclusion, I tried to think of the core books as an encyclopaedia of an imaginary place. Obviously it needed a rules system included, but it also needed history, timelines, key figures and notable locations. One of the ideas I considered was doing the whole setting as an in-character work of fiction, a bit like Volo’s Guides for the Forgotten Realms, but in the end decided that the trouble with that approach was that all the factions and different levels of understanding amongst characters in Camelot Cosmos made it impossible to have a single character who knew the truth. After all, even the gods of this setting are meant to be mentally unbalanced to the extent of really believing they are figures from Arthurian literature rather than intelligent machines!